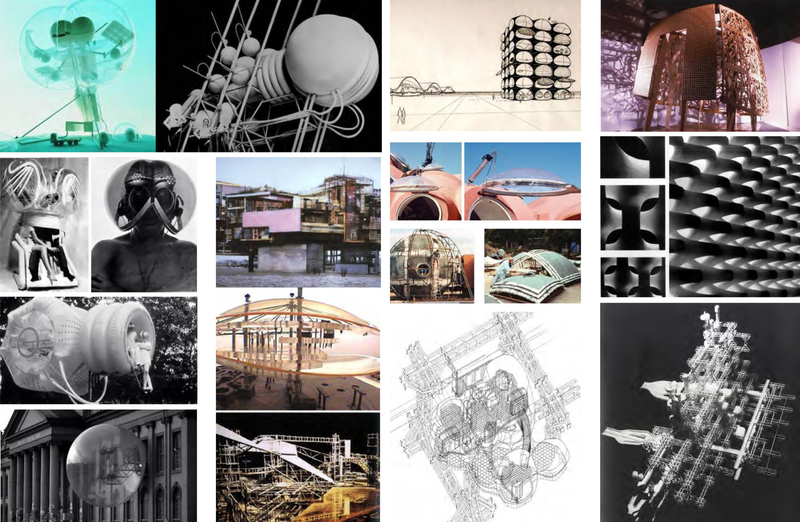 This design theory and research seminar focused on case studies in experimental architecture from 1930 to today. The lectures and research emphasised the role of technological advancement, or the anticipation of which, architects’ futuristic projects would employ, in order to imagine scenarios for life in the cities of tomorrow. The case studies were organised under themes: Proto/ Fabrics, Proto/ Worlds- Languages- Systems, Proto/ Structures, Proto/ Habitation- Agglomeration, Proto/ Intelligence- Behaviour, Proto/ Fabrication- Convergence, Proto/ Code- Information- Complexity. The categorisations followed a loose chronological order, thus, studying the development of ideas through the architecture. The seminar’s main reference was the research, exhibition and catalogue Future City, a collaborative project of the FrAC, Centre Pompidou and the Barbican.